2015 June « Healthy Foods In a SNAP! Shop along the outer walls of your grocery store. 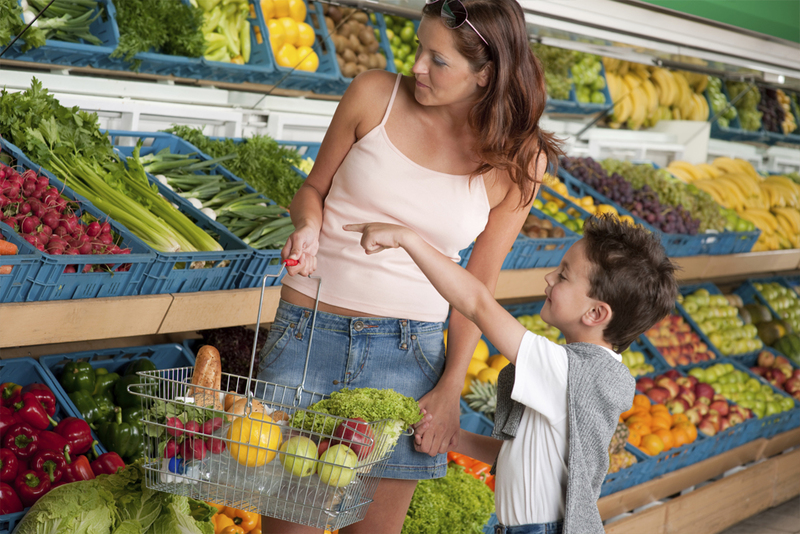 This is where the basics are – fresh fruits and vegetables, fresh dairy items, meats, poultry and fish, and breads. Use inner aisles only for things you really need. These aisles have more processed foods that generally cost more and have more fat, sugar, and salt. Eat healthy and get the most value for your money. Shop the outer aisles! 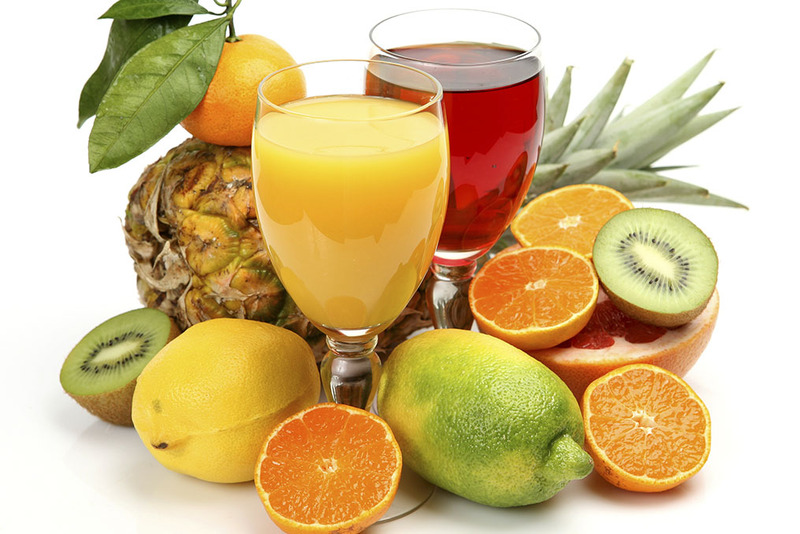 Which is more nutritious – fruit or 100% fruit juice? If you guessed fruit, you’re right! Fruit gives you more nutrition and fiber than juice, and with fewer calories. You also feel full longer with whole foods rather than with liquids. But consider prices, too. To get the most value for your money, buy fresh fruit when it is in season, or chose canned or frozen fruits on sale. And when you do buy 100% juice, you can often find good buys on canned juice or frozen concentrate. 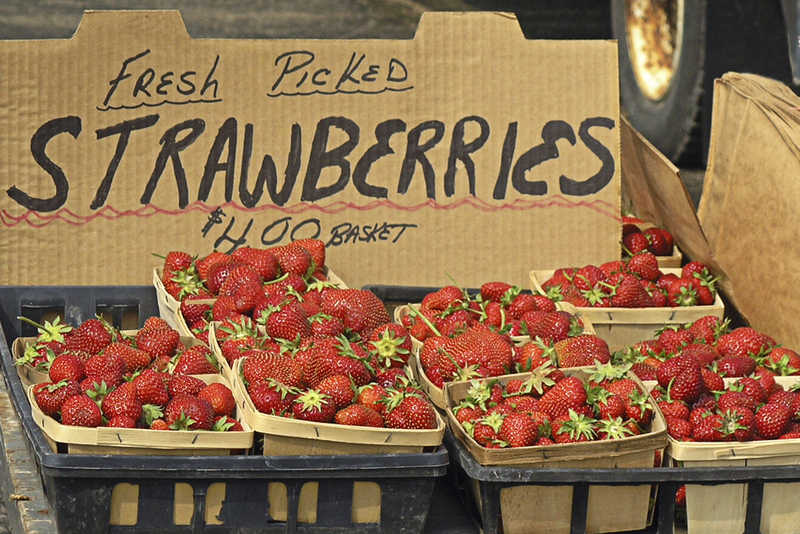 Fresh, juicy strawberries are coming into season! This means they’ll taste their best and cost less. Did you know that one cup of strawberries can give you all the Vitamin C you need in a day? What a sweet way to stay healthy! Store strawberries in your refrigerator and wash them just before eating. You can also freeze them in plastic bags to keep them longer. Enjoy fresh strawberries in yogurt, smoothies, fruit salads, or fruit kabobs! Or eat them on their own as a sweet, delicious snack! 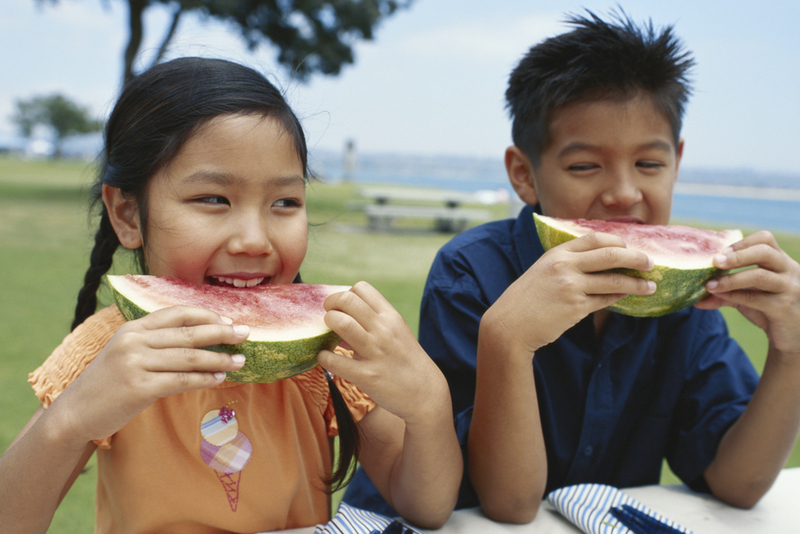 Check with your local school district to see if there is a Summer Food Service Program in your area for your children. 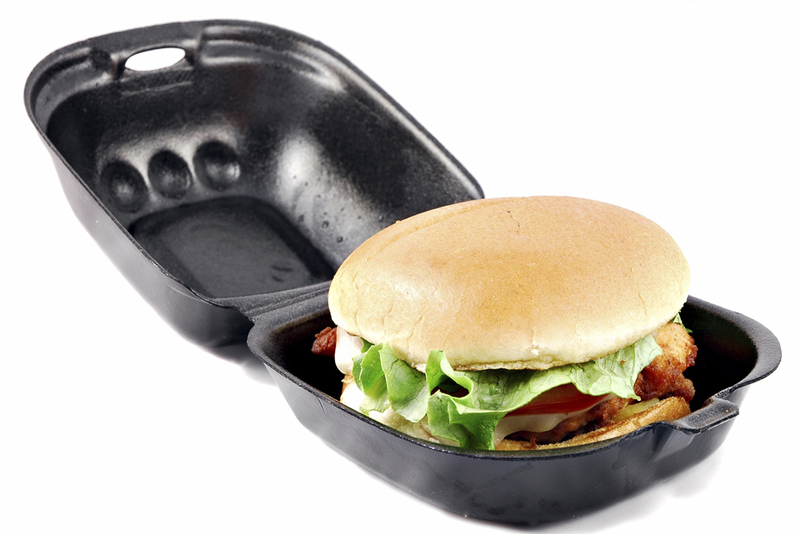 You may know this as the Summer Lunch or Summer Feeding Program. This program gives free lunches to any child aged 2-18 during the summer season. Some of these programs have activities and educational programs, too. Resources like these can be fun and stretch your food dollars, too!